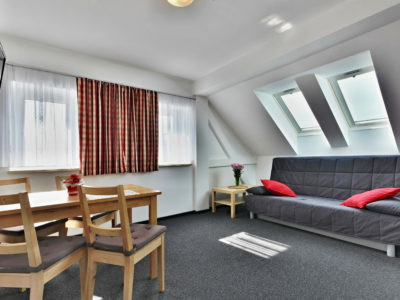 The Česká pension is situated only about a 10 minutes walk from the Františkovy Lázně downtown and its famous spa colonnade.. Apartment house in the spa town of Frantiskovy Lazne. 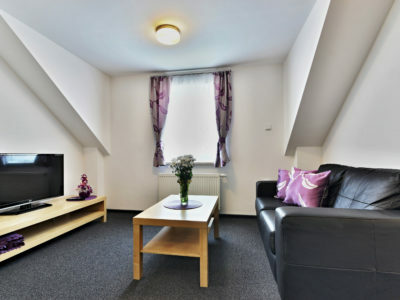 Accommodation in a suite with one bedroom, living room, kitchenette and bathroom. 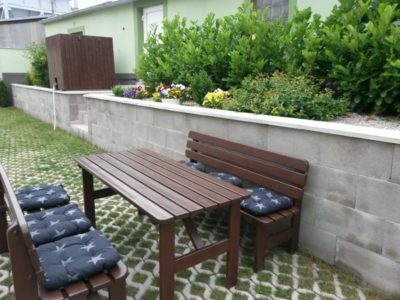 Parking in a locked yard, bicycle storage and WiFi (free of charge). 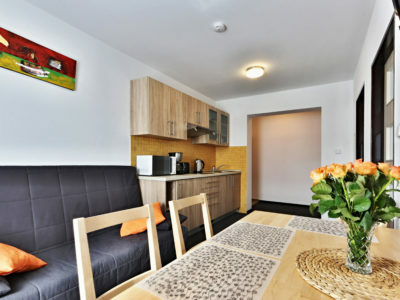 The apartments are especially suitable for an active family holiday with a focus on hiking and cycling. The Česká pension is situated only about a 10 minutes walk from the Františkovy Lázně downtown and its famous spa colonnade. 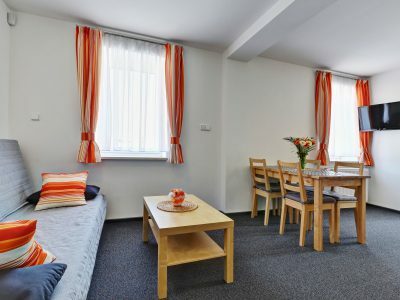 The apartments are of the 2+kk (2+ kitchen corner) types, they are fully equipped and furnished in a modern style in a newly reconstructed building. 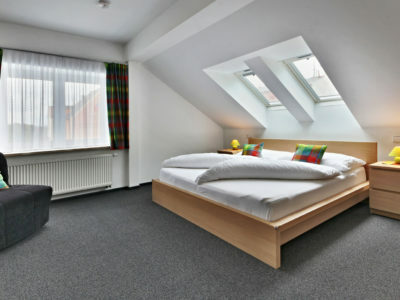 With the 1 and 4 apartments there is a balcony entrance from the bedrooms. 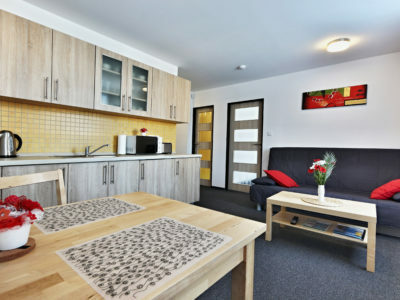 A kitchen cupboard with the possibility of cooking, a living room with TV and a car park in a closed yard are a common part of the apartment´s equipment. The total number of apartments is 7. 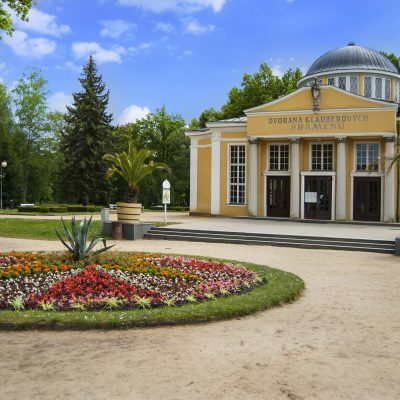 Franzensbad was founded April 27, 1793 as a Village of Emperor Franz and in 1807 they were officially awarded the name of Frantiskovy. They are named according to Emperor Francis I, who is considered the founder. From the initial rural bath with one – Františkovy spring, a wooden colonnade, several spa houses a Social house very quickly became one of the most popular European spas. In 1865 he promoted Emperor Franz Joseph I. Franzensbad city.